We are constantly expose to potentially harmful toxins from our external and internal environments. Long term optimal health requires the body’s ability to limit accumulation of these toxins. The two major detoxification pathways in the body are carried out by the immune tissue in the gut and the enzyme systems in the liver. So, let’s learn more about detox pathways and what we can do to support the them. The gut mucosa acts as barrier to keep endogenous (internal) and exogenous (external) toxins from entering the bloodstream. 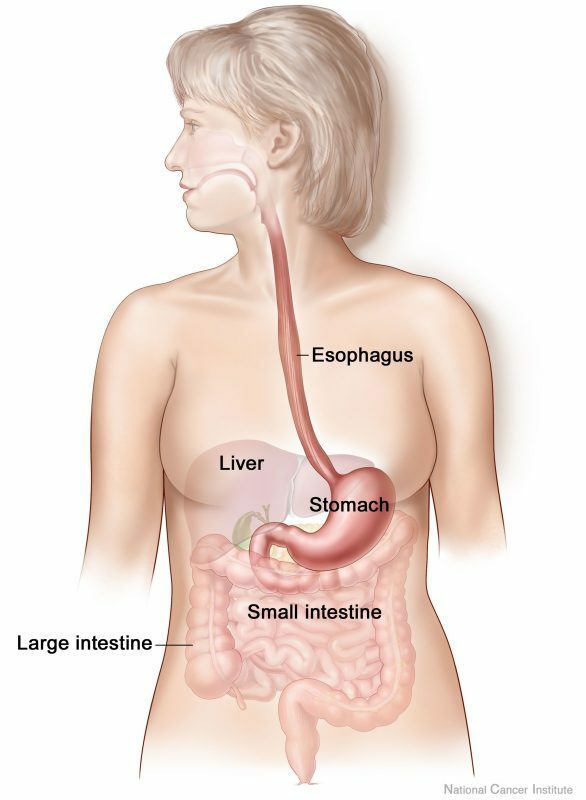 Part the gut mucosa is the immune tissues in the GI tract, commonly referred to as the gut-associated lymphoid tissue (GALT), and it is the largest organ in the body’s immune system. GALT-related immunoglobulins (function as antibodies) are major players in the gut to attach to pathogens and other foreign particles and prevent the absorption of these compounds into the body. An example of GALT-related immunoglobulins is secretory IgA (sIgA), which extremely important in protecting the intestinal epithelium from toxins and pathogens. What contribute to a healthy gut mucosa? As we are gaining more and more knowledge on the importance of gut beneficial microbes, one of the ways they contribute to our immunity and detoxification is by promoting the production of sIgA. Amino acids are the small building blocks of proteins. We usually think of protein for muscle building, however, protein is also essential for our immunity response and resilience to infections. Amino acids are important energy sources for immune cells and intentional epithelium cells. A deficiency of amino acids, such as arginine, glutamine,, glycine, proline, taurine, and cysteine, may result in deterioration of the intestinal barrier and alter the immune response of GALT. Stay away from packaged food, food colourings, food additives, refined sugar, refined carbohydrates … simply eat food that are made with ingredients recognisable by your ancestors. Antigens and toxins that enter into the bloodstream and delivered to the liver for detoxification. 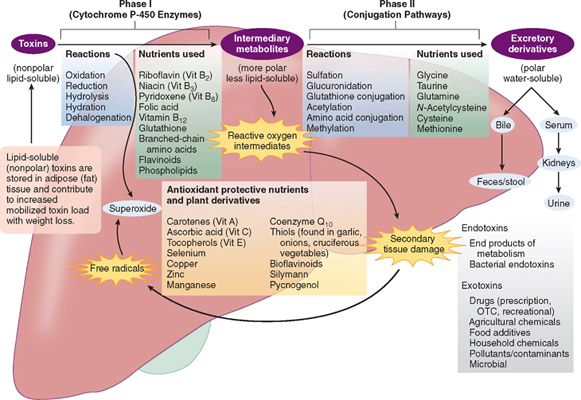 The liver’s main action is to transform the toxic fat-soluble substances into a water-soluble molecules that can be excreted through the gut and kidney. This biotransformation of toxic substances involves the phase I and phase II detoxification system. Food that support Phase 1 detox : Cruciferous vegetables, such as broccoli, kale, cauliflower, Brussels sprouts, watercress, and cabbage; B vitamins rich foods, such as organic grass fed beef and beef liver, wild salmon; Folic acid rich foods such as spinach, collard greens, kale, turnip greens, asparagus, lentils; flavonoids rich foods such as beets and carrots; Vit C rich foods such as lemons and limes; glutathione promoting foods such as grapefruits, asparagus, spinach, garlic. Food that support Phase 2 detox: Cruciferous vegetables, such as broccoli, kale, cauliflower, Brussels sprouts, watercress, and cabbage; Allium family, such as onions, garlic, shallots, leeks; Citrus; flavonoids rich foods such as beets and carrots; glutathione promoting foods such as grapefruits, asparagus, spinach, garlic; amino acids rich foods such as organic meat, wild salmon, peas and beans, nuts and seeds. As discussed earlier, the phase 1 detoxification process produces free radicals and it is extremely important to have a good level of antioxidants to counteract the level of free radicals that may accumulate in our body. Powerful antioxidants rich foods include: green tea, grapefruit, goji berries, blueberries, elderberries, cranberries, dark chocolate (>80%). Powerful antioxidants rich herbs include: clove, cinnamon, oregano, turmeric, cumin, parsley, basil, giner, thyme. Kathie Madonna Swift MS, RDN presented the REBOOT detox principles at the Academy of Nutrition and Dietetics Food and Nutrition Conference 2013. Reduce toxic exposure by eliminating unnecessary chemicals and substances in the diet including unsafe edibles, cookware, storage containers, preparation & cooking methods. Do you commonly experience brain fog, fatigue or drowsiness? Do you experience symptoms after exposure to fragrances, exhaust, fumes, or strong odors? Do you feel ill after small amounts of alcohol? Do you have a strong negative reaction to caffeine or caffeine containing products? Do you have an adverse or allergic reaction to certain foods? Have you had a history of exposure to herbicides, insecticides, pesticides, or organic solvents? If you are interested to find out more about how functional medicine can play a role in your health journey, send us a request through this link for an obligation free phone call and/or a detoxification questionnaire. MR Ruth, C J Field. The immune modifying effects of amino acids on gut-associated lymphoid tissue. J Anim Sci Biotechnol. 2013; 4(1): 27. Published online 2013 Jul 30.